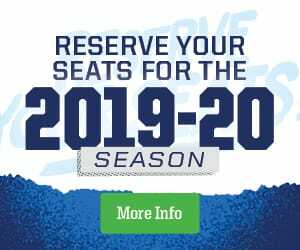 The Manitoba Moose (19-18-2-1) finished their six-game home stand with a 4-2 victory over the San Antonio Rampage (21-20-1-0) at Bell MTS Place on Sunday. The Moose opened the scoring 5:31 into the contest as Chris Collins tipped an Alexis D’Aoust shot to the back of the net. Manitoba added to its lead, courtesy of a Logan Stanley blast on the power play at 14:31. Eric Comrie made six saves in the frame as the Moose carried a 2-0 lead to the intermission. Manitoba stretched the lead to 3-0 at 11:39 of the second frame when Marko Dano pulled a nice move to get around Jared Coreau, but rang his shot off the post. Cameron Schilling followed up on the play for his second of the season. Just one minute later, Tucker Poolman’s wrister from the point found twine and the Moose had a 4-0 advantage. San Antonio got one back at the end of the period as Austin Poganski tipped his second in as many games past Comrie to put the score at 4-1 through 40 minutes. The visitors mustered 15 shots in the third period, but only one found its way past Comrie. Joey LaLeggia tracked down a rebound and tucked it into the goal with 50 seconds left in the contest. The Moose closed out the 4-2 win to earn 11 of 12 points on the homestand with a 5-0-0-1 record. Eric Comrie started all six games, posting a 1.95 goals-against average and a 0.943 save percentage during the set. Seth Griffith has points in six straight games with nine points (1G, 8A). Cameron Schilling has points in four straight games played with four points (1G, 3A). Chris Collins scored his first career AHL goal. The Moose head out on the road for a three-game swing leading up to the all-star break. The trip starts Wednesday in Grand Rapids in a game you can hear on TSN 1290, moosehockey.com/listenliveand the Moose App, or stream with AHLTV, beginning at 5:45 p.m. CT.